One of the best Android tablets on the market comes from an unlikely source – LG. LG once stood for “Lucky Goldstar” – an amalgam of two merged South Korean companies. LG made a name for itself with the Nexus 4 Google Nexus 4 Review and Giveaway Google Nexus 4 Review and Giveaway Even though I am an iPhone user and have been since the first generation iPhone was announced by the late Steve Jobs back in 2007, I've tried to keep an open mind about viable alternatives.... Read More and Nexus 5 Google Nexus 5 Review and Giveaway Google Nexus 5 Review and Giveaway Approximately a year after Google released the Nexus 4, the company behind Android has come out with its successor -- the Nexus 5. Read More , some of the best smartphones ever made. Fresh off their handset successes, rumors began circulating that Google tapped LG to manufacture the – potential vaporware – Nexus 8. The basis for the rumor lies in the sophistication and quality of the LG G Pad 8.3 tablet. It includes great build quality, specs and software, rivaling some of the best tablets in the market. The competitors within the 8-inch tablet market include Samsung’s Galaxy Note 3 8.0 and Samsung’s Galaxy Tab Pro 8.4” priced at $279.99 and $369.99, respectively. Within the 8-inch market segment, the LG G Pad offers excellent, but not the best, specifications. The Galaxy Pro inhabits the high end while the Galaxy Note offers similar hardware. However, in terms of its components, the LG G Pad falls more into the same category as the much acclaimed Nexus 7, 2013 edition. But can LG’s device, at around $280, match competitors, or does its price short-circuit an otherwise spectacular device? The LG G Pad offers sterling design, good specifications and at first glance, feels like a great device. Unboxing the LG G Pad, I didn’t expect much. It came in a relatively mundane white box, as many of LG’s products do. Inside lay a charger, micro-USB cable, instruction manual and an attached screen protector. Indeed, nothing felt polished about the packaging or presentation of the LG G Pad. However, only a fool judges a book by its cover. The LG G Pad 8.3 offers a degree of quality that I’ve yet to see in comparable tablet designs. Even the vaunted Nexus 7, with all its various features and exceptional design, doesn’t quite compare to the G Pad. A recent XDA teardown of the LG G Pad 8.3 reveal excellent design and layout, with relatively weak speakers and rear shooting camera. Of note, LG elected to use a thermal foil to transfer heat from the CPU into both the plastic and metal frame of the tablet. Normally metal components of tablets serve as heat sinks, but the G Pad uses the plastic as its primary place to transfer thermal energy. The specifications of the G Pad nearly mirror the 2013 Nexus 7. While LG’s tablet lacks NFC and wireless charging, in all other categories it matches the Nexus 7 almost identically. However, its Snapdragon 600 reaches a higher maximum frequency, it features a relatively uncommon IR blaster and it possesses superior structural design. Overall, based on the specifications, the G Pad offers very good value. The specifications of the much higher priced Samsung Galaxy Tab Pro beat it. Compared to the similarly priced Samsung Galaxy Note 8.0, you get a lot more of everything, except for a stylus and the potential for wireless data. However, a portable WiFi hotspot offers a more economical and fungible option. Check out our review of Karma WiFi hotspot Karma Mobile Hotspot Review and Giveaway Karma Mobile Hotspot Review and Giveaway With its lack of expiration dates, bonus data scheme and low data costs, Karma possesses the potential to change the mobile hotspot landscape. Read More for alternatives to baked in wireless data. Is the LG G Pad 8.3 any good? In terms of performance, build quality and its software features the G Pad features among the absolute best of 2013 and early 2014’s tablets of all form factors. Benchmarks don’t provide reliable performance figures, except on Nexus and some Motorola devices. That said, the G Pad scores in the 25,000 range on AnTuTu – this number falls decidedly within the range for the Snapdragon 600 chipset. The 2013 Nexus 7, which uses an underclocked Snapdragon 600, offers performance in the 20,000 range. These numbers do not indicate substantial amounts of cheating on benchmarks. I ran several battery benchmarks, including AnTuTu and Carat. It scores an 87 in Carat, which stands only marginally above average endurance for a tablet. In AnTuTu, it scored in the 60th percentile of devices, verifying the Carat score. However, I should note that the G Pad’s idle battery performance was remarkable — leaving the tablet idle for extended periods didn’t put much of a dent in its battery life, unlike the Nexus 7, which drains out frequently for no apparent reason overnight. The tablet optimized software keyboard in the G Pad, while not supporting gesture-based text input, provides a lot of the features that I wish Google would include in their keyboard for the Nexus 7. It includes a row specifically for numbers and a wide field for text input. On the 8.3-inch screen, the keyboard offers a solid typing experience, making typing efficient and intuitive. Gesture support, like SwiftKey (our review of SwiftKey Enjoy A Better Typing Experience With SwiftKey 3 [Android] Enjoy A Better Typing Experience With SwiftKey 3 [Android] We type a lot on our mobile devices. We constantly text people, browse the web, type up documents, and so much more. Therefore, keyboards have become one of the most important apps on your device,... Read More ) would have made this the best software keyboard on the market. As it stands, it’s just a really good keyboard for a tablet. LG’s proprietary KnockON feature allows the user to wake or sleep the tablet by double-tapping. This feature functions from a sleep state or from the home screen. It has the advantage of increasing the speed with which the tablet is accessed and reducing wear and tear on the tablet’s buttons. LG offers a voice-recognition based personal assistant called Voice Mate. The software isn’t quite on the same level as Siri, but in the Android environment it’s a perfectly acceptable substitute. It currently only recognizes sixteen commands. However, its integration into the Android operating system is near seamless. Simply swipe up from the home icon (similar to how Google Now is launched) and input your voice command. Voice Mate will frequently ask for clarification, if a command isn’t specific enough, you’ll be prompted to input the specific app that you seek to launch. Overall, the Voice Mate app feels like a success. Voice Mate also integrates with a number of LG’s home grown apps, including its On-Screen Phone and Qsync. While novel, many of these apps weren’t particularly useful without installing LG’s proprietary software on my desktop. Qsync essentially allows bidirectional control over your smartphone using your tablet. On-Screen Phone allows the same experience, except on your desktop. I would advise against installing these apps, as Google has now released software that obsoletes these functions. LG’s proprietary IR remote control application allows the LG G Pad’s IR transmitter to operate a television set. The app exceeds the capabilities of all other competitors in the app store in functionality and ease-of-use. For me, at least, I consider Quick Remote to be the best universal IR remote app around. An executive summary of the G Pad would highlight its good performance, latest version of Android, microSD card support, screen quality and great software. It suffers from weak speakers, a mediocre camera and average battery life. KnockON: This feature allows users to wake or sleep the tablet by double-tapping the center of the screen. It works whether the device is turned on or off. Mediocre rear-facing camera: The front-facing camera doesn’t give particularly great pictures, even for a tablet – but very few people rely on their tablet for photography. Average sound quality: The sound isn’t the highest quality, although it does feature dual speakers, arranged along the left side of the tablet. Slightly above average battery life: I get about 7 hours of screen-on time before expending the battery during standard use, which includes mostly web browsing, RSS and gaming. As you can see, the Android 4.4 camera can shoot with an amazing breadth of vision. The fact that the G Pad packs only a 5-megapixel camera doesn’t impact the quality of the shot in the slightest. The G Pad, after several weeks of testing, feels exceptional for the $279.99 sticker price. On paper, you get a lot of tablet for the money, but how does it feel? Holding the G Pad, one gets the immediate impression of quality. The textured, plastic buttons feel clicky and solid to the touch. The white variant in my possession offers a raw, slightly brushed, aluminum back. Unlike many of Samsung’s tablets, which offer grippy plastic, the G Pad feels slick to the touch. On one hand, accidental drops might present a real issue. On the other hand, the tablet’s finely tuned exterior feels like an Apple product in its build quality. The build quality isn’t purely aesthetic, either. For example, after extended periods of gaming, the tablet only becomes warm to the touch. Its coolness owes in part to the aluminum backing, which doubles as a heat sink for the torrid Snapdragon 600 chipset. In general, a cooler tablet means a longer lifespan. Longevity is something to think hard about when considering a tablet’s value. LG’s software environment feels no less refined than its exterior. The baked-in software feels organically grown into the Android operating system, rather than tacked on – as many operating system tweaks feel. Much of the comfort provided by the software ecosystem comes from LG’s positioning the tablet as a note-taking device. You can launch the note-taking, or Voice Mate, app by swiping up from the home icon. This feature allows very rapid deployment as a note-taking device. This feels perfect for both the office place or school room. Alternatively, one can activate LG’s Voice Mate app, simply from the home screen by speaking the words: “LG Mobile”. While not perfect, I found the app functioned at least as well as Google Now for inputting commands. Additionally, the KnockON feature gives the tablet a distinct and efficient feel, setting it apart from the masses. Instead of fumbling for the buttons when attempting to switch the G Pad on, simply double-tapping the home screen brings the tablet to life. Finally, the software keyboard is appropriately optimized for tablets, making typing fairly easy. Should You Buy the LG G Pad? For those looking for an 8-inch tablet, the LG G Pad offers a blend of high quality construction, the latest version of Android, unique and highly effective software and a developer edition, for those looking to tweak their device. How do I win the LG G Pad 8.3? Congratulations, Ivan McKinnon! You would have received an email from jackson@makeuseof.com. Please respond before May 23 to claim your prize. Enquires beyond this date will not be entertained. Lots - Screen resolution; Battery life; Responsiveness; etc. Battery life and picture quality. I always look for a high quality screen resolution. It's features are always important! Speed, battery life, touchscreen response and quality. battery life and screen size! When buying a tablet - the memory capacity and screen size. When buying a tablet, I look for the latest version of Android. When buying a tablet, I would look for a quality, high resolutions display. Easy to navigate the web and a great battery. screen i can clearly see and good sound and most common features. The processor is important! Dual core all the way! When buying a tablet, I look for the latest version of Android, and an IR interface would be nice to control my media devices. I look for storage and battery capacity. Decent screen and good speakers. I'm looking for the OS. I look out for processing speed , available ports and aesthetics. I look for battery life. A good screen and long battery life. I look it's usability first! I look for an intuitive interface and web browsing speed. What I look for is crisp viewing and storage space. Also I want to be able to use a SD (micro-SD) card to add more storage. This tablet looks and sounds awesome! I'm looking for speed and sleekness. Battery life is a big concern for me. Battery life is my top priority. I look for an excellent, high DPI screen. I want user friendly and one I can do anything on line. I look for battery life, image quality, and a decent price. When buying a tablet im looking for its quality, built, processor and memory :) I want to have a sleek but reliable gadget that I can play music browse internet and play games all the time. When buying a tablet I look for a number of features, not just one, however from the numerous criteria that I look at, 3 come to the top of the list, processing power, resolution, and battery life. Ease of typing stuff into it - hate to re-hit the "keyboard"
I look for a nice screen, speakers, useful features, responsiveness and good build quality. I would look for efficient battery life, quick functionality, and simplicity. Screen size and battery life. I always look at battery life and weight of the tablet! I look for battery life and app compatibility. Storage and comfort on my hands. Does not break easily. Good email access. Long life battery. It has to have Wifi so I could use it all over the house and in the garden. I look out for three things: Screen size, battery longevity and price. I look for easy navigation, and a size I can slip into my purse. Widget will never go past 1st page. I look for longer battery life. I look for battery longevity. I look for smooth streaming of tv shows/movies, long battery life, reasonable price, and portability. Android compatibility and storage capacity. Something that will be easy to use with my Android phone. I look for a good battery life and speed when using it. In a tablet I look for battery life primarily. speed speed speed more speed and a little more speed. I don't give a crap if screens fade from one to another or boxes slide out of where I tap... It better happen in less than a blink of an eye or I get annoyed. Most important - functionality - and then battery life. I look for plenty of storage and long battery life. I look for good battery life. Life of battery, speed, and ease of functionality. I look at screen resolution, size and overall look. Ease of use, apps available & quality is what I look for in a tablet. I watch a lot of netflix on my tablet so the screen resolution is very important to me. When buying a tablet, I want to know how its video-streaming-related features and possibilities—both hardware and software. When buying a tablet always pay attention to specs, battery life, operating system, and usability. Durability, screen quality and performance. With 3g, it's a plus. I look for resolution and memory. Quality, Speed, Lightweight, Durable and ease of use. When buying a tablet I look for how easy it is to read e-books and well the apps function. Good quality screen and build. If it includes a stylus that's an awesome plus for me! It is a full-featured tablet and accessories. I like it as it is to the whole. I look for screen quality and battery life as i read a lot.. Speed, screen resolution and battery life. Sleek design and long battery life. Fast processing speed, decent memory, good length/width ratio like Ipad and good battery life. Clear crisp text/display for easy reading. If I were to go looking for another tablet, my first thing I would look at is CPU/processor power and memory (RAM, not storage). I would want something at least quad-core (can't wait for hexa-core or octa-core) and preferably 2 GB RAM or more. I really don't like to sit and wait for something to get done doing what I told it to do. I care for good performance. When buying a tablet, the first feature that I look for is the screen. "In terms of performance, build quality and its software features the G Pad features among the absolute best of 2013 and early 2014?s tablets of all form factors." Some bold claim you have there. I would like to see the data just for the performance, let alone build quality and software features which are both considered very subjective to the eye of the beholder. This article is, frankly, quite biased and full of claims that shows how much the author favors the LG G Pad 8.3. "The fact that the G Pad packs only a 5-megapixel camera doesn’t impact the quality of the shot in the slightest." The author just typed it was a mediocre rear-facing camera a few lines before, now he's contradicting himself by typing that it doesn't impact shots quality by the slightest? 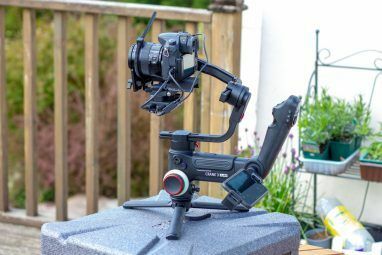 There are a few more statements that I could point out, but putting that aside, I hope that articles like this can be improved in quality in the future, especially for a tech-blog like MakeUseOf. This is actually excellent criticism as those exact two points were ones that I agonized over. Thank you Joses for taking the time to write. If you have additional points that need revision, I would greatly appreciate your input. The Snapdragon 600 is basically a low-cost tablet chipset (which is also used in a few phones) which offers good performance. Its real world performance at FHD resolutions is good, but it's definitely not the best. I should have emphasized that what makes the G Pad such a great device is its multifunctionality (the IR transmitter + software suite), build quality and great value. Regarding the camera, I need to make it clearer that the new Google Camera app available in Android 4.4 allows for surprisingly good shots to be taken, despite the weak 5MP camera. When time permits, I'll make those changes. Thanks again for the feedback! - Tablet Optimized Soft Keyboard, yet it didn't feature swyping, which is built-in for standard Android Keyboard from Jelly Bean onwards. The only difference is the number row, which, again, can be input from standard Android Keyboard anyway. - KnockON: This is a good feature, but it's not exclusive to LG, since some devices from the Xperia line also has tap2wake implemented. - Quicl Remote: Not enough info, but seems to simplistic to "exceed all comptet. Which reinforces my point about how the G Pad isn't anything special at all, but IMHO still good enough for its price point(and this should be emphasized more). And I don't know why you would put plastic as better than metal. "Normally metal components of tablets serve as heat sinks, but the G Pad uses the plastic as its primary place to transfer thermal energy." " For example, after extended periods of gaming, the tablet only becomes warm to the touch. 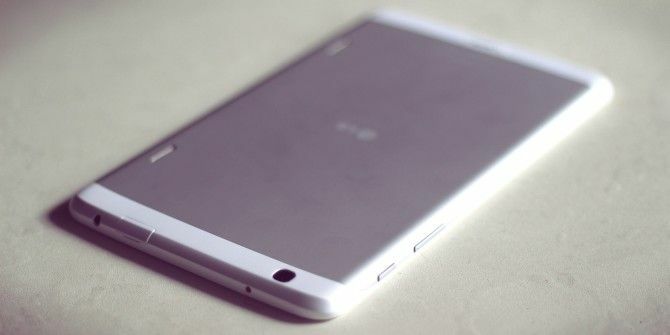 Its coolness owes in part to the aluminum backing, which doubles as a heat sink for the torrid Snapdragon 600 chipset." Another contradiction there, you said the G Pad primarily uses plastic to conduct heat, but then again say it can stay cool because of the aluminium back? I don't think there is any kind of plastic that is more conductive to aluminium, even thermally conductive polymer(although not sure about this one), but clearly aluminium conducts heat better than your average plastic. It worries me if a writer in a well-known blog site like MakeUseOf needs a reader to point out some obvious logical flaws in the written article. Where is the editor for this kind of thing? And even without a separate editor, I wonder if the writer is truly qualified to write about tech in MUO at all. Or if the writer doesn't really care because this is just a giveaway, and most people is just eager to get the stuff(which is largely true...). No offense there, and it's too late to change most of the stuff anyway. I look at the size and what programs it offers. Screen is always my first thing. Then responsiveness. Battery life and storage space. Battery and storage =) and price. Screen quality and battery life! The feature I like the most is that it runs iOS. Battery and storage are most important. Second most important is screen size and display quality. I would look out for the screen resoultion and size first. And then would look into battery, processor, RAM and storage options. When looking to purchase a tablet, I look for size, weight, functionality and dependability. Well known name, OS version, CPU, storage space. I look for a decent price and battery life. Ease of use and battery life! Screen res and memory expansion. The future I look for is the screen size. Usability, good screen, fast processor. I look for screen size, resolution and in-built memory and support for external memory card. It should be fast, attractive, reliable and economical too. Bigger Battery life ,ram, superb processor as well as the best camera . Screen, battery and performance. Very important. I don't want lag, and I watch a lot of videos so I need good screen and battery life. Capability to expand memory and apps ecosystem. Reliable, fast with long battery life. Battery life, performance, speed, graphics and durability. Battery life, camera quality, (stereo) speaker quality, CPU speed and internal memory (+expandable memory space). My main three things to look at, when buying a tablet, are specs vs price, Android system version (including the update timing from the maker), and resolution. Reliable, with a good wifi connection, and easy to use. Bought an LG G2, gonna want this too from what I see in the G2 haha! I look for RAM, Micro SD slot, battery life and portability. i care about storage & battery life on paper but care about general performance & ease of use on the daily. There's a lot i look for in a tablet, and the G Pad fills almost every requirement. Though it would be "dated" by almost any tablet released now, it has solid specs, and updated software. This would be awesome to win, and would probably replace my 2012 Nexus 7. CPU, GPU, RAM, OS, on-board storage, expandability, screen size and resolution. The feature I look for the most in tablets is the brand-specific software's integration with android. A tablet must have good battery life and run a current version of android. Bonuses are cheap price and stylus support. The Note is a good example of a very balanced, albeit a little expensive tablet. Most important features for me are memory, battery and resolution. I usually look for a good screen and battery life. But it shouldn't be 7" in smaller and there should be no bloatware on it like heavy touchwiz. A balance of price and performance. Performance. Size. Game play abilities. The IR blaster is nice. Quality of the screen, and the processing power. Bigger machine for bigger tasks. Thin. light, about 8 inch screen size. Fairly recent processor with good speed and battery life. Ease of use, Quality Performance, Substantial Memory(room for upgrades), and price. Snappy functionality, good storage, long battery life. Crisp graphics, good responsiveness, and the ability to handle a lot at once. Also, price is super important. I need something that is light weight, durable and has a long battery life. When buying a tablet, I look for battery life and portability. Display, storage, battery life, easy of use, call capability, good camera. Space for loading apps above storage, ram, and then processing power. I look for RAM, storage, and battery life. I also agree with Heather!. Punch Tab is painful to use on my ipad4. There are other, better solutions. Speed, I really prefer something that reacts quickly and doesn't crawl along. Powerful hardware & decent battery life. It must be fast and great price. Also it should come with fast updates or great suport of the community. Agghh!! I sooo hate the widget you use for contests! Maybe it's because I only use an iPad, but it is such a pain. The Twitter thing...I already follow, but need to open Twitter to unfollow, then follow again, then reload the widget, sign in again, and go through the entries to claim the Twitter entry. And it never works the first time. Drives me nuts! Would you please consider using a different widget? Anybody else have these problems? Quality build and performance. Also a good camera is a plus but not necessary. Oh... and iOS is really nice... but I'll settle for android. Haha. Battery Life, and ease of use. Installed OS and battery life. I look for a combination of good screen quality, portability and value. I look for something durable, along with plenty of memory and processing power. Battery life,speed and storage capacity,throw in a mic and camera should be just okay. Speed and battery life. No system blot a plus. Performance...what good are all the bells & whistles if it takes them an eternity to work? I look for user friendliness and price. I have never purchased a tablet, but I would look for a good value. That doesn't mean the cheapest, but one that has a good screen, good battery, and a build quality that will last, all for a reasonable price. I look for reliability and how user friendly the tablet is. Most important thing for me is whether the device is loaded with the OEM's crapware or not. And having the last version of the OS. Battery life, quality screen and reputable brand. Resolution, Battery life, CPU & GPU Chipset, Digitizer response. When looking for a tablet I look for a tablet that is fast&reliable! Screen and graphics performance is something that I look for. It should be fast, reliable and helpful. What i look for in a tablet is CPU power and screen quality. Impressing tablet! battery, display and powerful processor. 4G (LTE) and FHD Screen with High MP rear camera! It must be build in good quality, have goid performance, battery thal will last at least a day and some other features. The most importantly, battery life. Speed, good resolution, and battery life. I mostly looked for quality and performance. Specially the speed, size of the screen and lastly the design. Battery life and screen size. I look for performance in a tablet, followed closely by battery life. I like to have a balance of features, screen, battery life etc. It needs to be a good all rounder. Good battery life is a must. Nice screen for an 8 inch tablet. All it's attributes need to combine to be able to handle what I want to use it for, nothing more, nothing less. If I'm curious about a product, i usually read reviews like this and especially read them here in makeuseof. The important thing for me is the look and feel. How sleek it is and easy to grab/hold on. Next is the durability, is it reliable? Will it last me years? The memory space and the speed. Then the special features that you cannot see in other phones. Like this one,. I liked the KNOCKON feature .It should be worth the price. and the battery life should last a long time before charging. Love LG products. We have every electronics from the brand. Id love to try on LG pad to see how great it is! I love LG products! The design, the features, wicked! A great high res, IPS screen, lots of RAM and a fast SOC/CPU. Faster processor and battery backup. What i look for a tablet is reliability and speed. A reliable tablet must have a good battery life. Bloatware and other non-stock android apps often makes the tablet sluggish, and this would also take a toll on the battery life.Without bloatware, you can also have the storage space that you need. Another plus is if it has a 3g sim slot which will make it a lot easier for you to be online, without carrying another device as a means to obtain wireless internet connection. Good screen and fast processor. I need a tablet that is fast and has a good screen. Main features to look out for while buying tablet is Display size,Display panel,exp storage ,battery life . For me, entertainment is the biggest thing. It's got to have good battery life for long trips, decent audio, and a good screen. In terms of connectivity, it's nice to have GSM connectivity...but here in Canada tablet plans are ridiculously expensive. I don't mind if it's a little smaller if it's not phone size. Battery life, storage space (more books! ), durability (I'm clumsy), are all important to me. The tablet has to be fast, reliable and with a long battery life. Owning an original Nexus 7, I don't have access to much to compare it to. I want a second pad that both suits my useful needs and I can give to my wife to add to her toy collection. I look for durability, and a system capable of running an advanced OS. Ease of use, battery life, connectivity. It should be fast, reliable and helpful. For price, I was looking for cheap but top of the line specs, bigger ram and superb processor as well as the camera pixel. I look for a good CPU, good screen, and good battery life. Mainly, I looking for the specs: CPU, GPU, screen, battery, capable of expandable memory. One of my primary concerns is battery life; I need a tablet that will last while traveling. Screen quality is also important, as is build quality and form factor. Battery life, camera quality, size, and storage. I look for a combination of readability and ease of use. Being on the go all the time, I don't want to fight with the device to do what I need to do. I look for good battery life, decent processing power, and good size form factor is also important so it is comfortable to use as well as transport. Durability. It has to be able to take drops, blender attacks, and protect me as a shield during ninja attacks.. Processor power. It needs to be fast and able to handle my multitasking prowess. When buying a tablet I look for quality of construction, speed, and image quality. Battery, design, price, products manufacturing. Everything lol. It has to have good battery life, screen, power, fairly light/thin etc etc. I need to feel it comfortable in my hands. Processor, graphics and apps are very important. The main feature I want in a tablet is a good screen, which includes the screen size and orientation. battery life. weight. screen size. i check the proccesor power , the ram memory and the screen resolution.. The best thing in a tablet is its screen. For me it must be medium sensitive, from 8 to 10 inches and strengthened. And, of course, with high resolution. Other things are not so important for me. I mostly look for high resolution and good viewing angles, along with a processor that can handle HD media. Great battery life. Great screen and portability. I find the best and a very important feature on a pad to be the battery life, doesn't matter what I should be doing, the battery should be the one that has energy all the time to keep up with me. I replaced a damaged Nexus 7 (2012) (damaged USB port) with this G Pad. It's a lot better IMO . The only downside I find, is u can't lock the home etc buttons when you have the keyboard up and it's too easy to accidentally press one if the buttons and exit what your doing. Other than that, I'm very pleased with it. 8/10 for me. Screen size and quality plus good battery life! I want a tablet that has a good processor and ram so it will handle anything I want to do on it. It also has to have good battery life. Size, processing speed for business, battery life, storage, operating system & connectivity. Great write up, excellent information, thank you. Whenever I'm in the market for a tablet, I tend to look at hardware spec first and then I like to analyse the tablet to see how the OS and other included bits of software take advantage of it. Well made accessories are a big plus (think MS Surface keyboard cover, ASUS Transformer Prime keyboard dock, etc). I look for high speed, solid build and a lack of bloatware. Portability, Processing Power, and Battery life. Screen quality, no bloatware , battery life. I look for good video resolution, battery life, sound and portability. This looks like it has it all! Processor, RAM, battery life, RAM, handling, looks etc. Better battery life, better handling, better processor & better RAM! Screen and reasonable performance (so that web browsing is a relatively swift experience). When buying a tablet, the feature that I look out for is expandable storage. I mostly look for processor speed and internal memory. With a tablet, I look for battery life and screen resolution. Processor, storage, battery life, and then connectivity. i look for speed, or high quality processor and external memory feature. Processor, RAM, Storage, battery life and screen size. Ditto. Battery life and screen quality. I also appreciate having the latest version of android. Battery life and screen quality.